Attorney at law licensed by the State of Florida and the United States District Court for the Southern District of Florida since 1981. Martindale-Hubbell AV Rating. Board Certified Intellectual Property Lawyer authorized to engage in a multi-jurisdictional federal copyright and trademark practice. Areas of Concentration: entertainment, music, emusic, fine art, television, radio, branding, advertising, publishing, film, internet and cyberlaw (litigation, trademarks, copyrights, domain name disputes and contracts). Representative Clients: Luther Campbell (2 Live Crew), Aretha Franklin, Planet Hollywood, Bobby Kimball formerly of Toto, Ray Sawyer formerly of Dr. Hook and the Medicine Show, Carl Gardner’s Coasters, The Ink Spots, Ahmad Jamal, Paul Vance (songwriter, producer), John “Spider” Martin and Whole Foods Market. Honus Wagner Company v. Hillerich & Bradsby Co.
Vapor Life, LLC v. Vapor 4 Life, Inc.
Barrocos of Florida, Inc. v. Elmassian, et al. Ordonez v. Icon Sky Holdings LLC, et al. Beeceuticals LLC v. Dreamworks et al. Planet Hollywood, Inc. v. NorthPort Marketplace, Inc., et al. Toto, et al., v. Kimball, et al. Publications: Author, What’s GNU?, The Florida Bar Entertainment, Arts and Sports Law Section (“EASL”) News, April, 2006; author, P2P File Sharing: Direct & Indirect Copyright Infringement, The Florida Bar Journal, May, 2004; author, Abacus Law, Martindale-Hubbell, Legal Publishing Preview, October, 1991; author, Online, Martindale-Hubbell Legal Publishing Preview, July/August, 1991; author, Computerized Statutes, Martindale-Hubbell Legal Publishing Preview, May/June, 1991; author, The Entertainment Lawyer, The Florida Bar Journal, May, 1982. Lectures: Recent lectures include: 3/25/2017 EASL Nova Southeastern University Shepard Broad School of Law (“NSU”) Symposium re: Protecting Your Intellectual Property; 6/19/16 EASL CLE Reference 1616429A re: Jewelry Copyright Infringement at EASL Retreat located at Streamsong Resort, FL; 3/26/2015 NSU Sports and Entertainment Law Society (“SELS”) Reference 1505015A re: Intellectual Property Issues in the Vapor Industry; 4/5/2014 NSU SELS Reference 1406428A re: Production Agreements; 9/24/2013 NSU IP Law Society Reference 1406430A re: Current Issues in TM and Copyright. Nuts and Bolts of Copyright Law, NSU, February, 2013, 2012 & 2011; Virtual Worlds, Middle Tennessee State University, April, 2008; Building a Successful Entertainment Law Practice in Florida, The 8th Annual EASL Symposium on Music, Film, & TV, The Eden Rock Renaissance Resort & Hotel, Miami, Florida, March, 2006; The Front Line on the Internet, The 7th Annual EASL Symposium on Musc, Film, & TV, The Eden Rock Renaissance Resort & Hotel, Miami, Florida, April, 2005; Internet Music Distribution, University of Miami Law School, March, 2004; and, Direct and Indirect Copyright Infringement, The Florida Bar Midyear Meeting, Miami, Florida, January, 2004. Awards: Received distinguished service certificate from The Florida Bar, April, 2004; The Florida Bar International Law Section plaque of honor in 2007; and The Florida Bar Entertainment, Arts and Sports Law Section (‘EASL’) plaques of honor in 1999, & 2005 – 2009. Awarded Chair Emeritus, EASL, 2009. Lifetime achievement award, EASL, 2012. 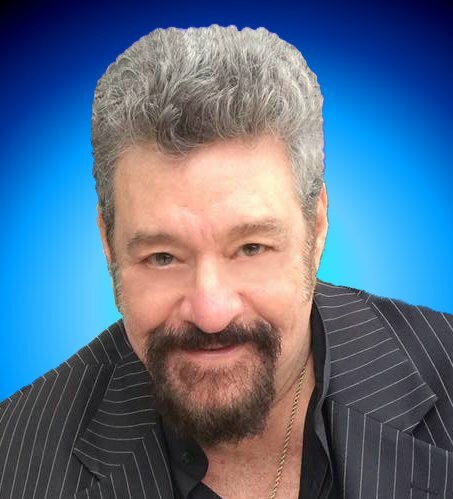 Professional Affiliations: Founder and Former Chairman of The Florida Bar Special Committee on Entertainment, Arts and Sports Law (1982-84), which became a full Section of The Florida Bar in 1988 (‘EASL’). Member of EASL Executive Council (1998-2002, 2004-2011, 2017-19). See http://easl.info. Webmaster for EASL (1998-2001, 2004-11) and The Florida Bar International Law Section (2003-2013) at http://internationallawsection.org. Successfully proposed and qualified under The Florida Bar Designation Plan for Entertainment, Arts and Sports Law (sunrise, 1984, to sunset, 1996). Vice President, Secretary and Webmaster for the Jacaranda Country Club Homeowners’ Association, Inc. (2004-8). Avocations: Computer programmer, published composer, and recording artist (keyboards and vocal). Performed throughout Florida and the USA with such notables as John “Spider” Martin, Jaco Pastorius, Ahmad Jamal, Miguel Reyna, Duffy Jackson, Sonny Stitt, Ben Champion, the Ink Spots, Mike Gerber, and others. Owner of internet site www.Musicians.Exchange.